Home >> Archive by category "Training"
At the Sheridan Pro Bono Project, the legal team used templates and checklists created in LawLab to achieve amazing client outcomes. LawLab made it simple to standardize processes across teams and throughout a case life cycle. Checklists are one of the most effective tools humans use in navigating complex systems. Checklists verify that the necessary minimum gets done. Checklists minimize the tendency to overlook routine matters because it’s often our most basic tasks that can spell the difference between success and disaster. Checklists act as a check against our ego and to mitigate the problem of “expert audacity”. Checklists open up innovation opportunities. Checklists enable creativity because they provide freedom to exercise professional judgment. We are able to address unforeseen problems because the checklists gave lawyers an objective measure to determine when a process needed updating. Checklists don’t replace judgment, they enhance it. Checklists create rigor & consistency. Checklists create discipline to make sure the small and large things are done, are right, and are done consistently right. Research shows that giving someone a checklist for a task increases their chances of completing it. Checklists save time. Checklists can minimize the need for repeated specialized trainings because they provide a system for users to access stored knowledge. At the Sheridan Pro Bono Project, we created three different types of checklists: READ-DO, DO-CONFIRM, and SELECT-SHARE. Example of DO-CONFIRM checklist for volunteers to prepare for initial immigration court hearings. In a DO-CONFIRM checklist, a volunteer used a checklist to confirm that she/he completed all the necessary steps associated with a particular part of the workflow. These checklists were used after a training was provided. In the training, the volunteer learned and practiced the steps necessary for successful client interactions. 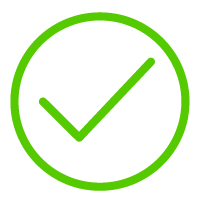 A DO-CONFIRM checklist allows more freedom to complete tasks or checks from memory before consulting the list. Once the tasks are completed, a pause point occurs. The checklist can be consulted to confirm that no tasks have been overlooked. Pilots use a DO-CONFIRM checklist to ensure they haven’t overlooked anything such as checking the right instruments or locking the plane’s brakes. Essentially, this kind of checklist helps the pilot fly a plane safely without relying solely on their fallible memory. In a READ-DO checklist, a volunteer read the step in the checklist and then completed it. A good common example is cooking with a recipe. Most cooking recipes are written in a READ-DO style (e.g., I add the salt after I read the line telling me to add salt). A SELECT-SHARE was a checklist where one volunteer selected a series of options from a list and then shared the options with another volunteer to complete a particular task. A common example is when a doctor fills out a form to order a prescription: she selects options from a list (type of medicine, how many pills, how often to take, refills allowed, etc) in order for another person to complete the task of filling the prescription. Example of a combined DO-CONFIRM and READ-DO checklist entered as a template into LawLab. When the custom caseaction “SHX Exit Interview” is selected, the software auto-populates the checklist for the volunteer. The volunteer goes through each step, entering a “y” or an “n” to indicate each step. The travel section is a DO-CONFIRM. The Warnings are a READ-DO. This template provided a high-level of consistency across the Sheridan Pro Bono Project. With a single training, volunteers were able to adequately and consistently provide critical information to clients who were moving onward from Sheridan to other places in the United States. Getting the steps in the checklist right takes thought; we seldom got it right the first time. This also meant that we tinkered with the processes on the fly as we learned. Markdown syntax–the syntax used on LawLab’s comment fields–proved useful in creating templates. We added two spaces at the end of each line and then a hard return to create line breaks to create a sense of itemization, in an effort to avoid confusion. We enclosed the “checkbox” between brackets in a single, selectable string. This enabled a volunteer to doubleclick the string (e.g., [ yn ] ) and quickly change to “y” or “n”. We used templates to standardize data collection and activities at different points in the process. For example, this template standardized note taking at a master hearing. The volunteer would often complete the template in real-time at the hearing–that is, as the hearing was taking place, the volunteer would have their laptop open, refer to the Hearing Worksheet, and then complete the Hearing Report. This improved data collection and data searching. Combining checklists with triggers enabled the work of representation to move quickly. Here, a volunteer assigned a case to prepare release documents, would go through the checklist. Once the checklist was complete, the volunteer would trigger the next action. To create an accountability loop and prevent a case from falling off track, a trigger was created that auto-populated a case review 14 days after a case was assigned. Templates were used to standardize data entry. Here, whenever a bond order was received, a volunteer selected the Bond Order action and then completed the data entry using the template. A trigger was added so that a few days later, the case was reviewed to determine whether the bond was posted. We used a combination of a DO-CONFIRM and a READ-DO for sponsor notification. A SELECT-SHARE was used where one volunteer would create a task for another volunteer to complete. For example, here, a volunteer who interviewed a client inside the detention center might have entered an order for another volunteer to obtain court records or police records. The volunteer would use the checklist and select the options to provide the information needed. We added a trigger to create accountability and verify that the records had indeed been ordered. These are just some examples of the power of LawLab to integrate checklists and templates. You want to manage your immigration law practice better—win every case every time. And with LawLab, you can: register for a free, live webinar. Used by the largest immigrant defense consortiums in the country in some of the harshest jurisdictions, LawLab’s legal practice management software simplifies your daily tasks. Find what you need when you need it and get things done fast. See how LL 5.1.0 can make your day easier, from managing cases to interviewing clients, to setting strategy in this 60-minute webinar, hosted by Stephen Manning, the Legal Director of the Law Lab and Elizabeth Skokan, Helpdesk Support. Set your clients up to win.